INGO ARNDT was born 1968 in Frankfurt am Main, Germany. After finishing school in 1992, Ingo plunged into the adventurous life of a professional photographer. Since then, he has travelled around the globe for extended periods as a freelance wildlife photographer, photographing reports in which he portrays animals and their habitats. 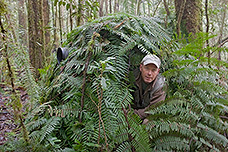 Ingo's photographs are mainly published in international magazines including GEO, National Geographic and BBC Wildlife. With his images, Ingo Arndt wants to stimulate and increase the awareness of his viewing audience and show them the magnificence of nature. 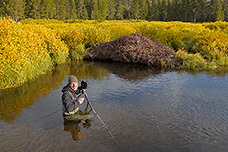 He has received numerous awards for his photography. Several of his images were winners of the "Wildlife Photographer of the Year Competition" and the "GDT European Wildlife Photographer of the Year". In 2005 he was awarded with an "World Press Photo Award". 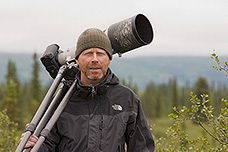 In 2006 Ingo received the "German Award for Science Photography" and in 2008 and 2012 the "GDT Fritz Poelking Award". To date Ingo has published 14 books, including his recent work ANIMAL ARCHITECTURE (by Knesebeck 2013). His photographs have been exhibited internationally in museums and galleries and are represented in private collections.